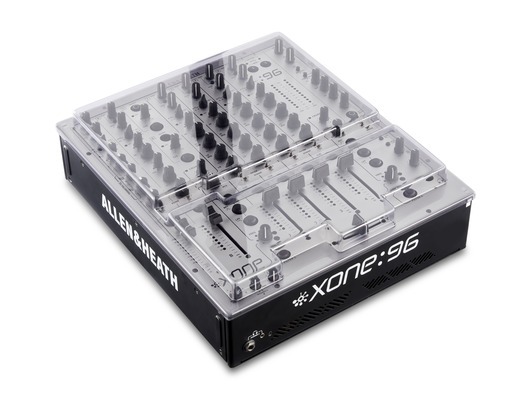 Introducing the Decksaver Allen & Heath XONE:96 Cover for the Allen & Heath XONE:96; a sophisticated and professional piece of equipment that any experienced or aspiring DJ will surely want to keep protected. Made in the UK by Decksaver you can be assured that this tough and impermeable cover is of a high quality and certainly worth the small additional cost. 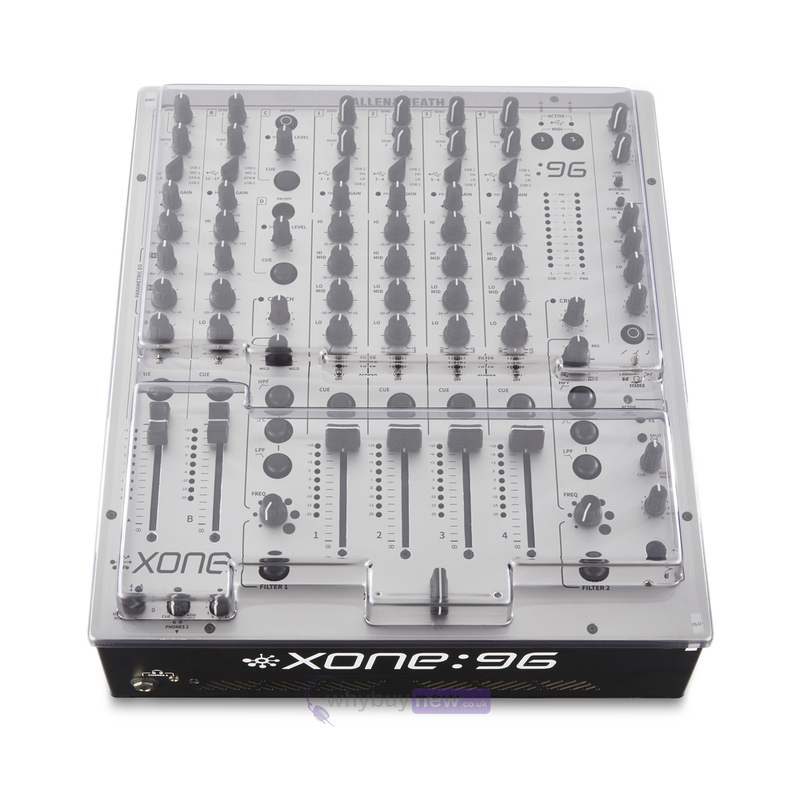 The Decksaver Allen & Heath XONE:96 decksaver has been specifically designed to fit the exact shape of the Allen & Heath XONE:96 DJ controller, giving you peace of mind that all of its delicate components will be expertly protected from catastrophic drink spillages and inevitable knocks. Designed and engineered in the UK specifically for the Allen & Heath Xone 92 Mixer and manufactured from super durable polycarbonate, a tough transparent plastic with hard-wearing qualities. 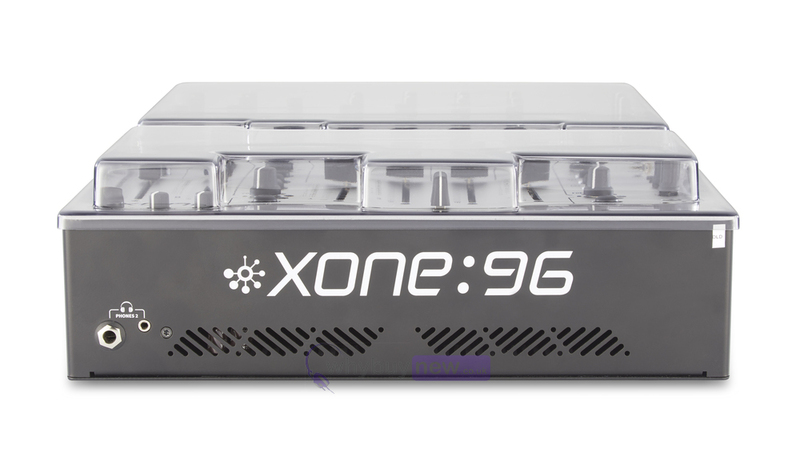 An essential investment extending equipment lifespan. 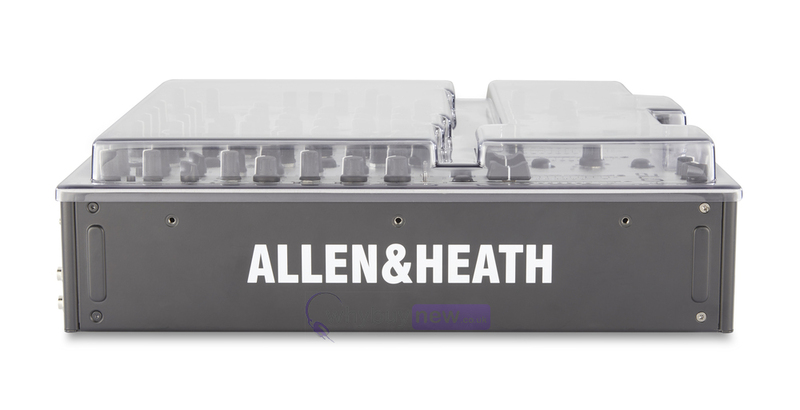 Each Decksaver cover is rigorously tested before it carries our name. 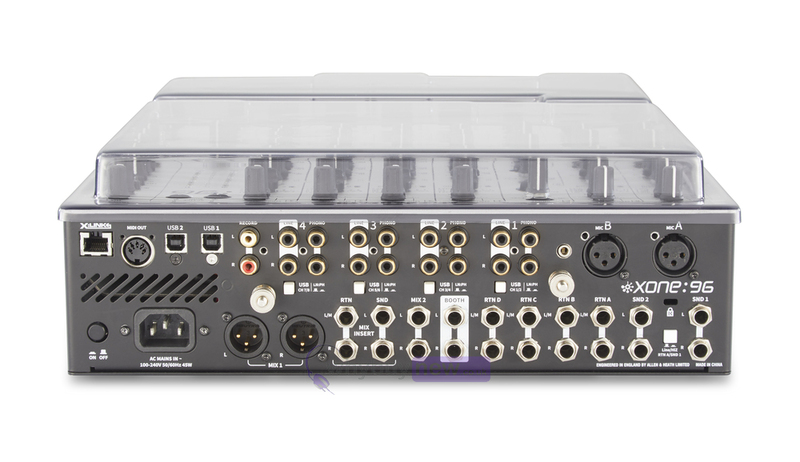 Shields faders and controls from dust, liquid and accidental impact whilst accommodating.